Many requests for refund of excess payment (i.e. after deducting usage charges for 32 days from 17-05-2017 to 19-06-2017 from Rs.3162/-, but no refund received till writing this complaint i.e. 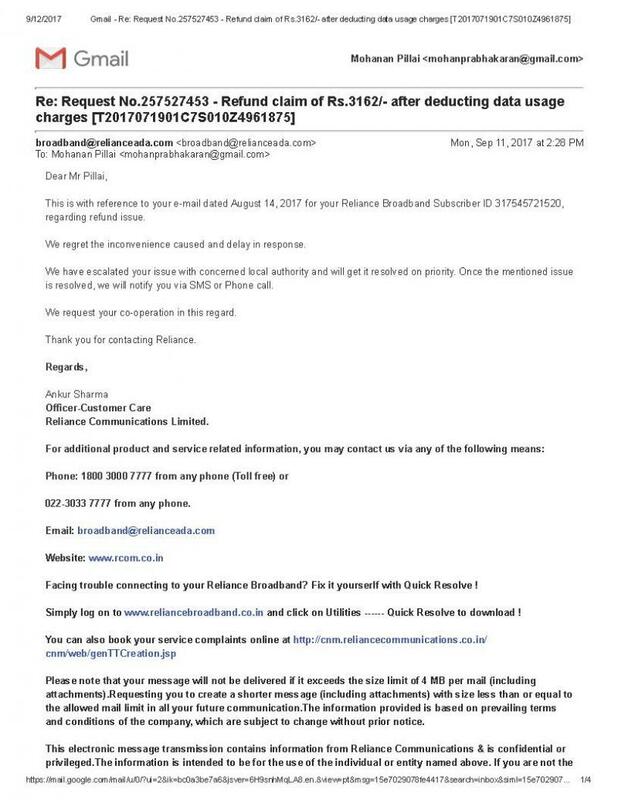 till on 8th March, 2018.
deposit made but broadband..Reliance broadband have charged..UNFAIR WAY OF BALANCE..Not Satisfied with Netconnect+..complaint about very bad..Harassment by Reliance Communication..wrongful means of collection..Reliance is giving Fruad..Recharged roaming pack according..Pension Scheme Certificate not..